Cody Allen Grubb, 29, of Flatwoods, passed away April 13, 2019 in Our Lady of Bellefonte Hospital. Mr. Grubb was born in Ashland, Nov. 16, 1989, to Karen Pridemore Grubb and the late Richard Grubb. In addition to his father he was preceded in death by his paternal grandparents, Clifford Grubb and Lucile Literal Sheppard; maternal grandfather, Russell Pridemore. Cody was the captain of the Raceland Fire Department, station 20, and a member of the Worthington Fire Department, station 50. He was a member of the Little People of America where he was a gold medalist basketball player for the world games; he was also an Entered Apprentice Mason at the Fred M. Gross 953, Masonic Lodge in Westwood. Cody loved life; he loved to serve his community, help others and give back to those who helped him. In his free time he loved spending quality time with his brother and keeping his mamaw busy with electronics. He also enjoyed a good game of competitive darts and playing pool. He was a 2008 graduate of the Russell Independent School System. He was also active in the Raceland Legion, Post 43, the Ashland Eagles and the Ironton Moose Lodge. Left behind to carry on his memory is his loving mother, Karen (Bill Bradshaw) Grubb; two brothers, Cory Grubb and Richard "Allen" Grubb; one sister, Tracy Mauk; maternal grandmother, Loretta Pridemore; best friend, and brother, Chaz Wireman; brothers and sisters fire fighters; and a host of many other family and friends who will miss him dearly. 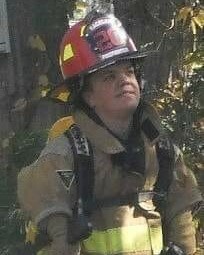 Funeral Services will be at 12:00 p.m., Thursday, April 18, 2019 at the Raceland Fire Department. Burial will follow in Bellefonte Memorial Gardens. Visitation will be after 6:00 p.m., Wednesday, April 17, 2019, at the Raceland Fire Department. In lieu of flowers donations are requested to assist with final expenses.